Elisabeth Rosenthal has a rich history. She was a practicing physician, a bureau chief in Beijing , China for The New York Times and is now Editor-in-Chief of the Kaiser Foundation Health News. 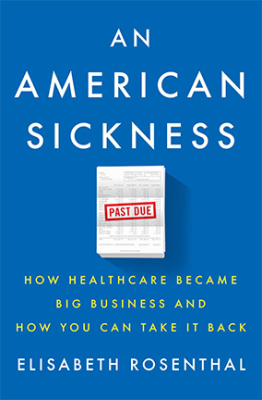 She has written a book on how the health care system became a mega-profit business and what can be done to resist. For people concerned about the long term viability of Medicare and Medicaid, the unregulated explosion in medical costs is a major barrier to reforming health care so it is accessible and affordable for all Americans.